Mantra Training & Development: Thinking outside the box. what we lose along the journey of life. Throughout our life we are faced with many situations and each situation we come face to face with requires different thinking. When we are babies we don't have to think to much as this is mostly done for us. Then we become toddlers and life has different meaning. We get to explore, we fall down and we learn how to become more independent. As the years pass we go though teenage stuff and then enter the big world of adulthood. Somewhere along the journey we seem to lose some of the resilience we were born with. You know when you start to walk you fall down 100 times and get back up 101 times. 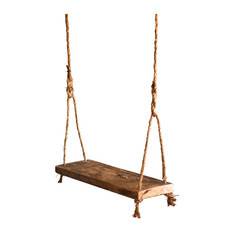 You fall off the swing and graze your knee yet you go back to the swing and get right back on with a laugh at how silly falling was. Fast forward a few decades and something is missing, we aren't the same resilient beings we were when we were young. Why is this? I often contemplate this for myself and I know that at times we take a turn in life that doesn't work out, and then another. Slowly but surely our confidence is chipped away and we don't seem to spend a great deal of time building the muscle of resilience back up. What I know for sure is that I see more and more people in my field both as colleagues and as student's feeling stressed, unworthy, even depressed and suffering from bouts of anxiety. This is certainly on the increase and terribly concerning for the next generation coming into the workforce. The ability to cope with change seems to be a real issue in today's workforce and in day to day life. Yet change is inevitable because life changes, love changes and careers change. This video is a a really cool example of how millennials are being perceived and some of the problems that are prevalent in today's world especially with social media and the the desire to be liked. Simon Sinek on Millennials in the Workplace. As you listen to Simon take note of what you personally resonate with and ask yourself how true this is for you or someone you know that is struggling in aspects of their life. As we know it's not just millennials who are struggling to find job satisfaction or even peace and happiness. As Simon points out Joy is one of those things that seems to be missing, joy in your relationships, joy in family interaction and joy in your career aspirations. What does it really mean to think outside the box? For me it means not getting stuck in a situation and having the awareness that there are always other perspectives. To have the knowledge that all situations will pass over time or with a different decision. A different decision could mean having that hard conversation to clear the air, or saying no instead of yes to please others. It can also mean you are getting better at listening to your gut and following your heart not other peoples desires. I realised I didn't have to spend time with people I didn't want to. Happiness is within me, if I attempt to seek this from outside of me it can also be taken away. The past does not equal the future, someone once explained to me that Depression is focusing on the past and anxiety is worry about the future. It is better to live in the present moment. These are just a small number of things that I learned along the way and some of the lessons I have learned have been the greatest tools to become more resilient and think outside the box. By not constricting myself to thinking small and settling for anything less than I deserve for myself. I am the only person that should ever decide my worth, my happiness and my successes. Till next time stay strong, stay focused and love yourself deeply to build that resilient muscle. Keep your eye out for my next blog where I will have a survey, If you would like to take my brief survey to help me understand what content you want to read in my Blogs and membership sites jump right in as I would love to know how I can better serve my readers.